Autorun Organizer is a reliable start up checker that enables you to view and manage the programs that automatically run when your operating system starts. You may view the programs' properties, as well as modify their running schedule. The application enables you to manage the autorun priorities, as well as enable or disable specified programs. You can always add and remove programs from the start up list, or set them to load after a certain amount of time. 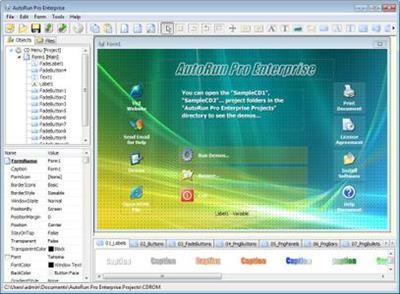 AutoRun Pro Enterprise is a complete rapid application development (RAD) tool to create interactive multimedia applications for Windows - without programming. You don’t have to be a programmer, but with AutoRun Pro Enterprise you’ll feel like one. 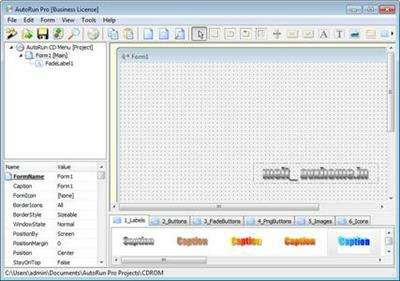 Even though it is very easy to learn and use, it has everything you need to develop professional software applications!